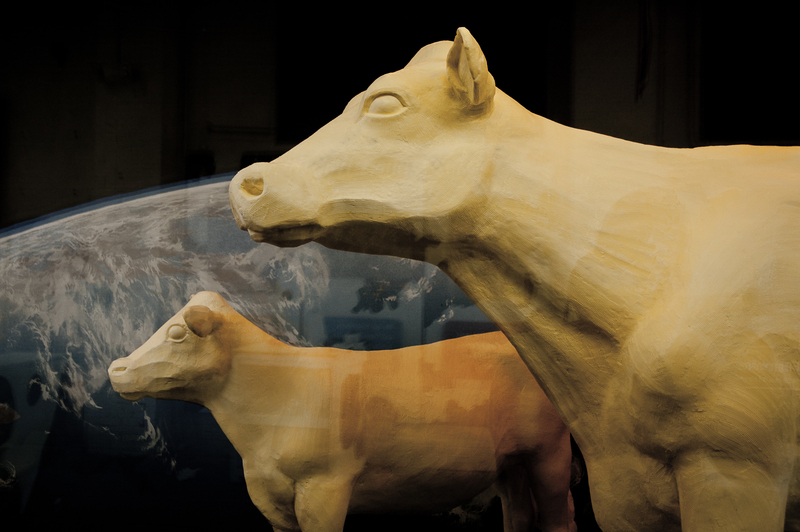 (Columbus, OH) What does the final space shuttle mission have in common with tonight’s dinner? One key ingredient might surprise you. 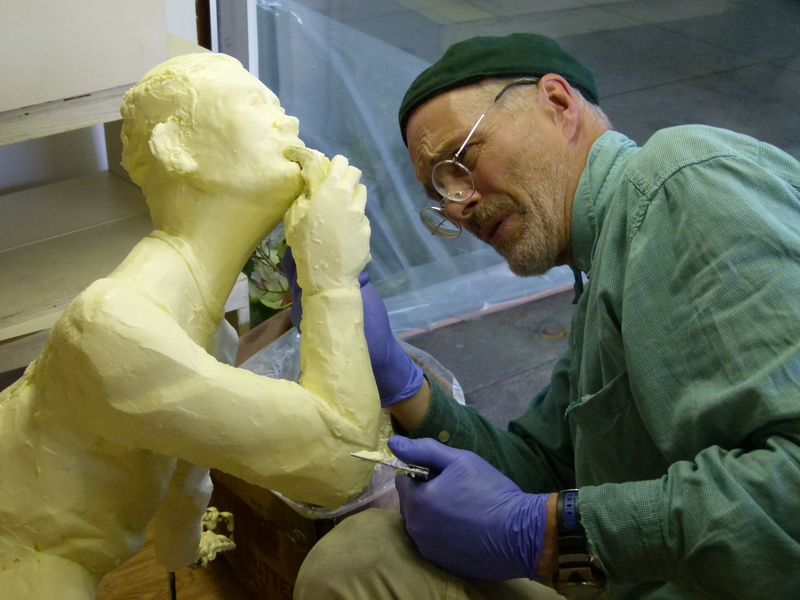 Some sculptors had a blast working with an unusual medium. 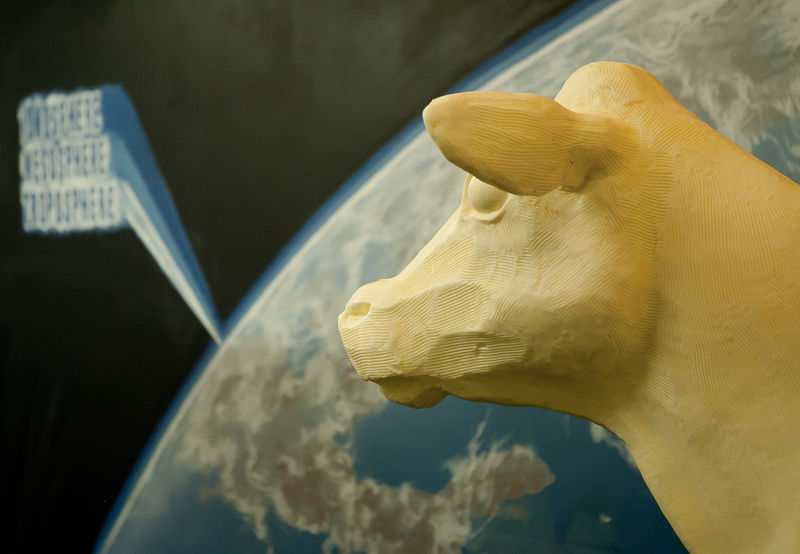 The American Dairy Asociation created a butter tribute to honor the space shuttle program’s 30 year legacy. 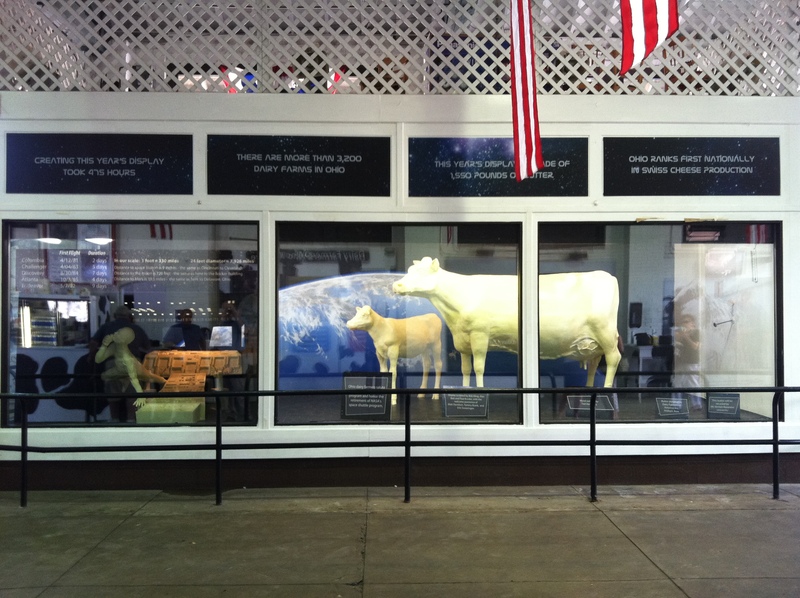 This ‘butter shuttle’ and ‘butter astronaut’ are on display at the Ohio State Fair, along with the famous butter cow and calf. 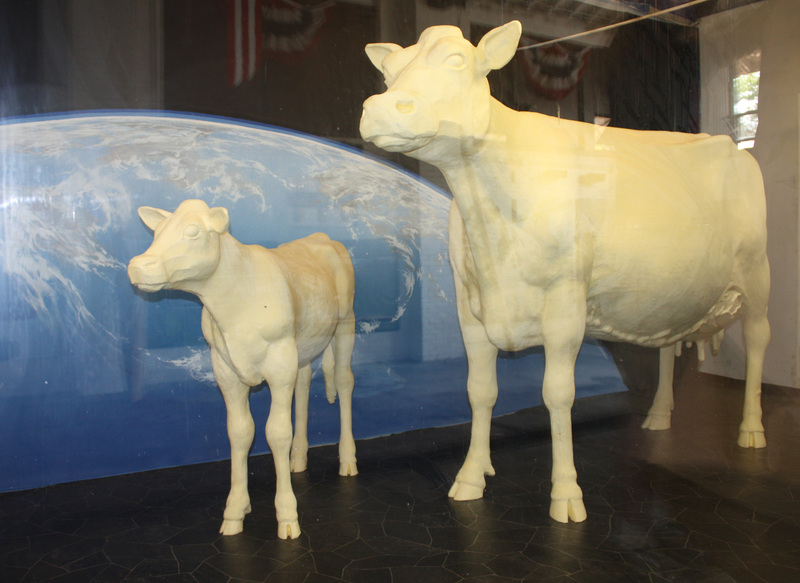 They chose the shuttle theme for the iconic butter display because Ohio is the birthplace of more astronauts than any other state. 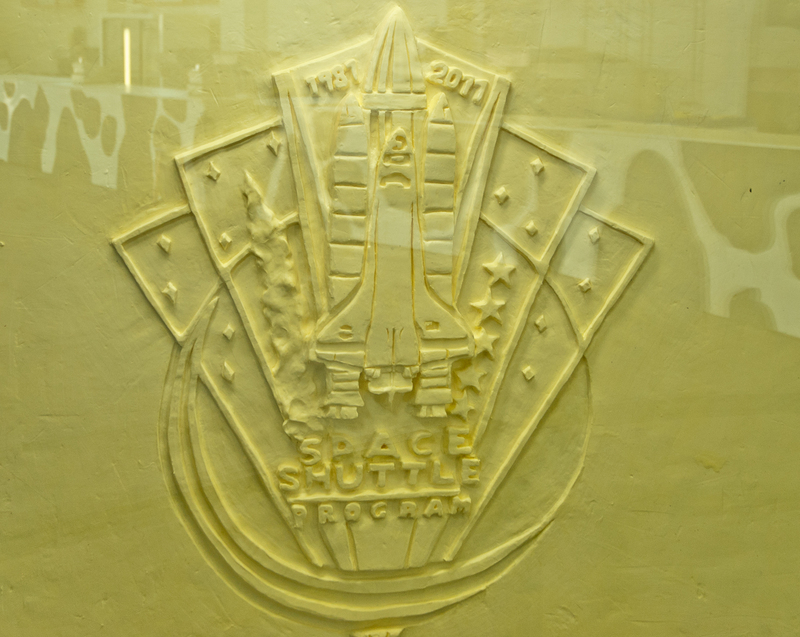 In fact, 24 astronauts have called Ohio home, including space pioneers John Glenn and Neil Armstrong. 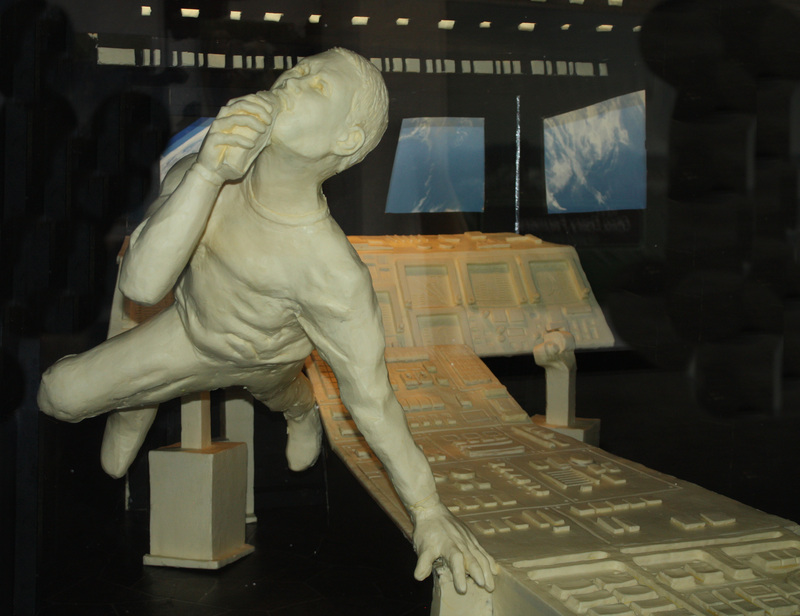 The astronaut in the display is, of course, eating “astronaut ice cream”. Now normally an astronaut would not eat in the command center, but at the state fair everyone likes to enjoy delicious ice cream. 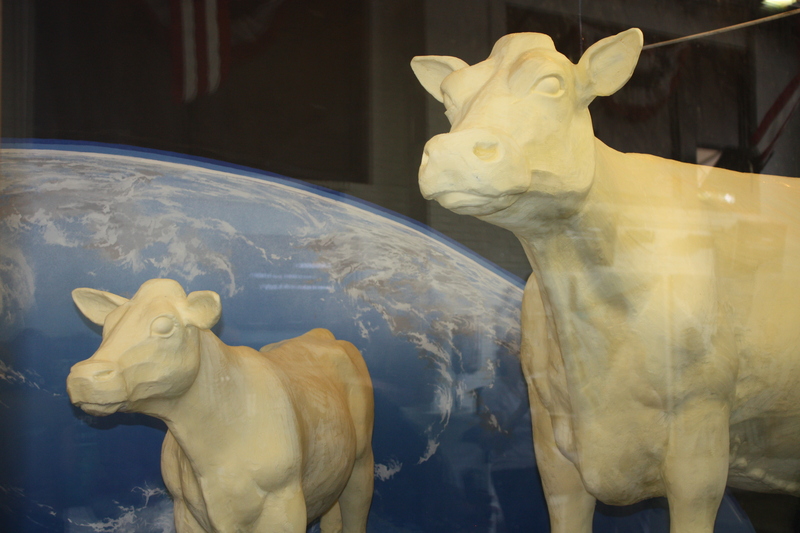 The butter sculptors aren’t NASA engineers, but they did build quite a display! 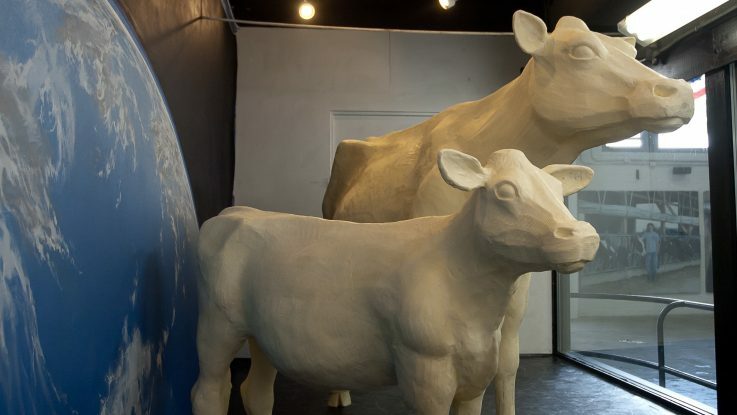 It is made from 1550 pounds of butter, that’s about 6200 sticks. 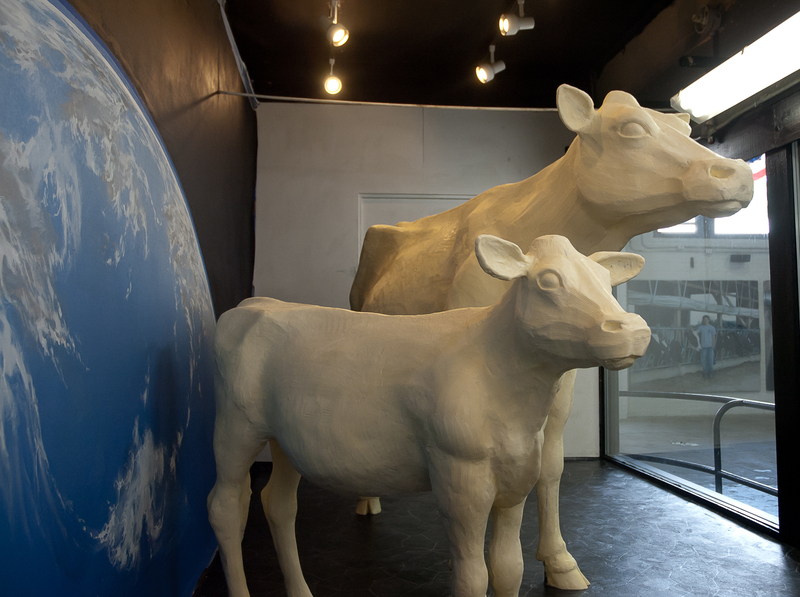 It took 475 hours to complete, 250 of those were actually spent sculpting in a 45 degree cooler.